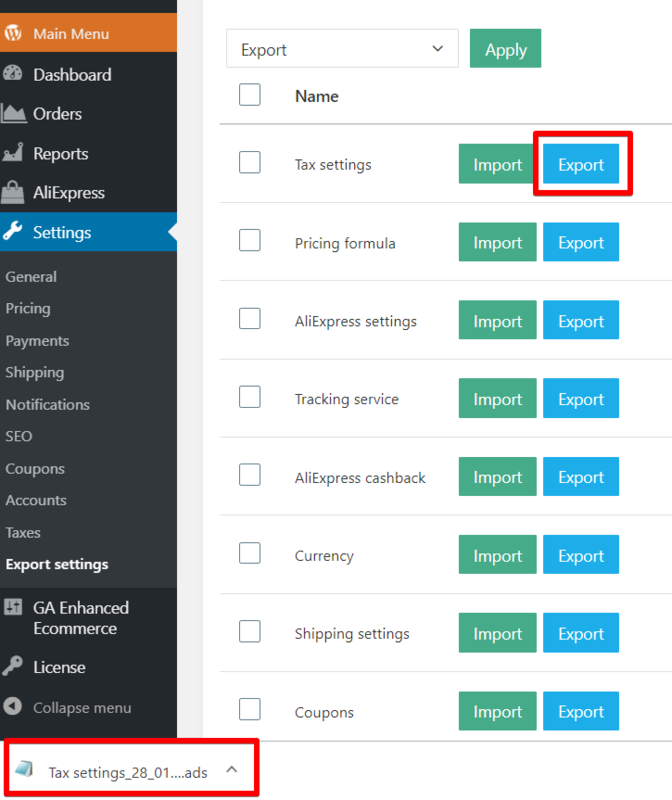 This option allows you to export or import your AliDropship plugin main settings right from your WordPress admin area. 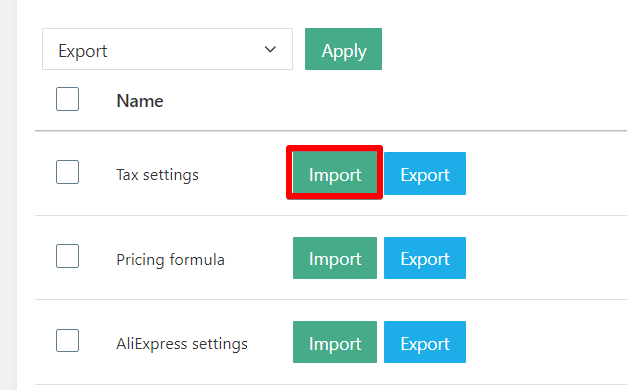 Just click 'Export' and file with chosen settings will be saved on your computer. 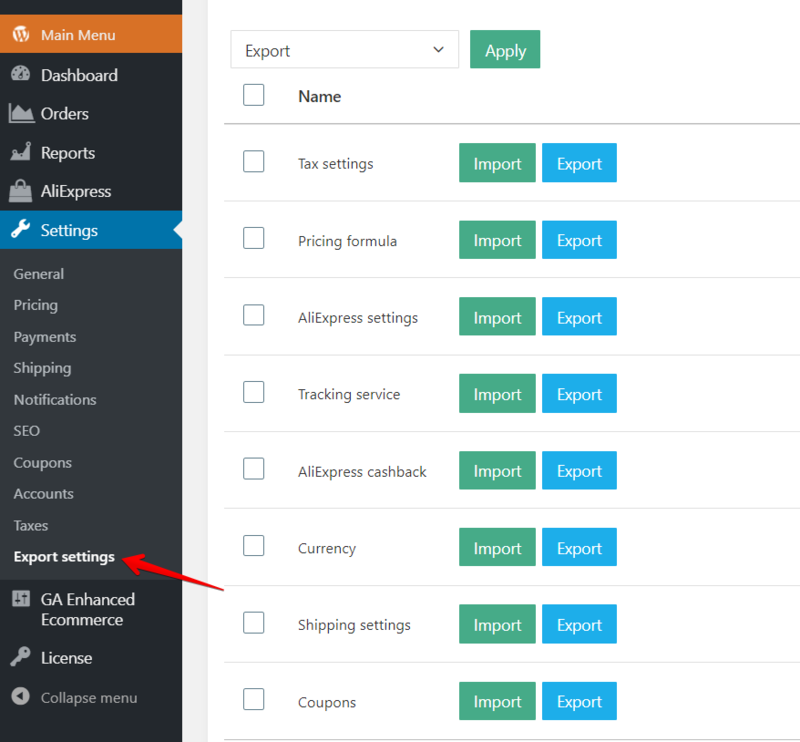 After that you can Import that file on another site with AliDropship plugin, so saved settings will be immediately applied after import. Select the saved file and click 'Open' - Done!